Everybody knows my friend John, is a little bit too much emotional. Tears easily flow down his eyes everytime he feels an extreme emotion. May he be happy or sad, he always have tears in his eyes. That is maybe the reason he doesn't like it too much when new people reach out to him to have his acquaintance. Because, based on his personal experiences, most people that come always go away eventually. And these partings are almost always never easy. Unfortunately, most people interpret this very differently. He has been accused of being rude, selfish, snobbish and, worst of all, useless. For him, it is better that people scorn him this way rather than attach himself with them and experience a lot of trauma and depression should this temporary friendly affairs come to an end. Goodbyes are inevitable, so I am sharing these goodbye thingamabombs to put a smile on your faces. Let us start with this quote that made me famous over tumblr. 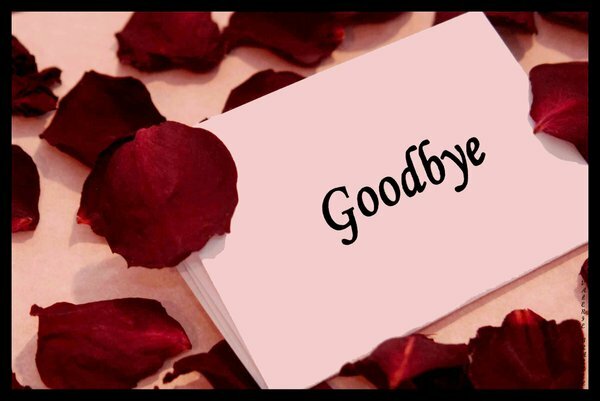 "Goodbyes hurt the most when people leave without saying them." These are all so moving trinkets that they once again make John emotional. His cry-baby persona is trying to dominate him that he is now having tantrums and trashing while rolling on the floor. Why couldn't he accept this reality, for in acceptance you could find courage and peace. All I got to say is I will never do the same things that he had done, instead I will use these words to slap on the face of the people should they try to leave me in shattered pieces. So that they will have second thoughts on leaving me.